1. 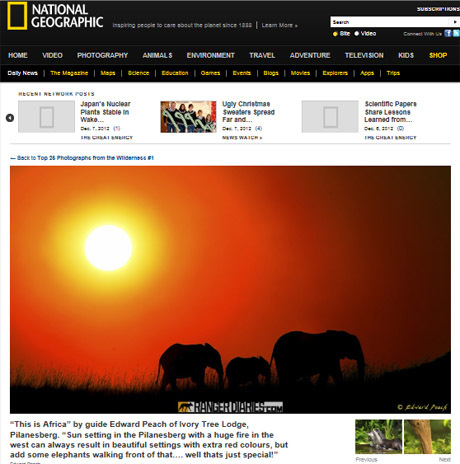 Hi Edward, when and why did your interest in photography start? I’ve always enjoyed seeing good photos, and when I got my first camera from my parents in 2002 I wanted to capture impressive images like the ones I enjoy looking at. Then in 2011 I became a game ranger at Ivory Tree Lodge in the Pilanesberg and that allowed me to photograph nearly every day! 2. 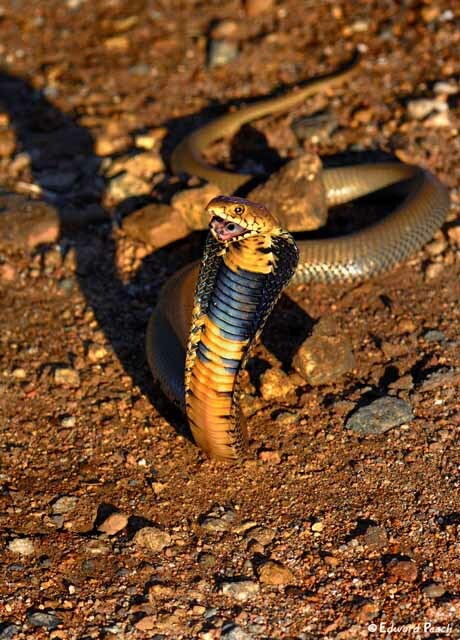 Tell us about a day in the life of a Pilanesberg field guide and whether you have had any ‘dangerous encounters’. Normal days are up at 4:30 for the game-drive, play hide and seek with the big 5 in mornings and then again late afternoon and evenings. I also enjoyed hosting the lodge guests and getting to learn about people and hear stories of their countries as they learn about yours. The scariest encounter was being charged by a leopard when my Italian guest’s children got over excited and the leopard ran at them and looked like it was about to jump into the vehicle! Luckily the leopard turned at the last minute and went around the vehicle after I banged the side of the car and told the children to please keep quiet! 3. Do you have any favorite routes where you get consistently good animal sightings? Nare Drive! This road produced my first lion kill on Christmas day, my first leopard kill, my first sighting of the arrival of the European bee-eaters as they surrounded the car catching all the insects after the rains, and it gave me some spectacular sunsets in the late afternoons. 4. Do you have any favorite spots where you get consistently good animal sightings? The view-point on lower Letsha is one of my best spots. The late afternoon sun setting behind you provides superb lighting for the view in front of you. I have photographed birds, mammals, reptiles, moon-rises and sun-rises from this one spot. 5. 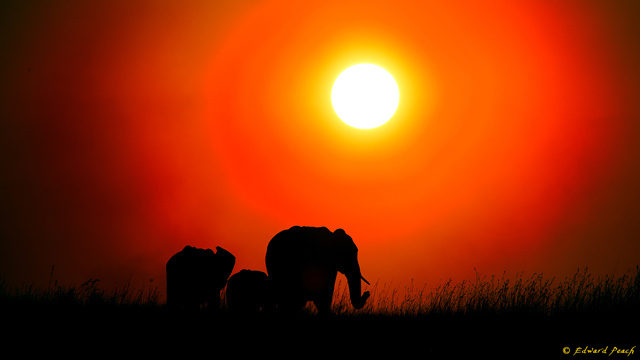 You shoot all four genres of nature photography; namely wildlife, macro, landscape and birds. Do you have a favorite and why? I don't really have a favorite. I love nature and love sharing all aspects of it. Each of them have their own unique thing that makes them special and I find I enjoy safaris more by just looking around for any photo opportunities rather than just looking at one aspect. One aspect I did not get to really exploit is lightning photography. I really enjoy that but given the fact that lightning season is also busy season I don't get many chances to photograph lightning bolts when they happen. 6. I have heard people commenting on your photos that they have ‘perfect exposure’ and ‘the colors are so intense yet still realistic’. How do you achieve this – is it the camera, your technique, Photoshop, or a combination? I think it’s a combination. The Nikon D800, with its 36 megapixels, captures beautiful images that can be compared to medium-format cameras that are much larger and more expensive. I also learnt, on a Nikon photographic course, that the sun in South Africa is a lot sharper than that in the Northern hemisphere where the cameras are made and set, so you should set your EV (exposure value) to compensate for that. Mine is normally set at -0.7 and then during post editing, I’ll change the contrast and brightness to make the image a bit more vibrant. 7. Talking of photographic tuition, we have seen some people advertising photographic courses where they promise "All you need is one lesson and in just 20 minutes you can be taking astonishing photos like a pro". Ed, it has taken you 10 years to get to this stage, where you are the co-author of a wildlife photography eBook - are there any short cuts in progressing from taking snapshots to making good photographs? I don’t think there are ‘short-cuts’ as such. I think it’s a combination of having the right photo gear (and knowing how to use it), being passionate about photography & nature and then understanding animal behavior so that you can find the subjects and then capture great photographs of them. I look at my progress as a journey that is still not over. My camera progression was a Nikon Coolpix, Sony Cybershot, Nikon D80, D90 to my current D800. I realized that certain gear just cannot accomplish the end result that I had in my mind, hence this steady development. In addition I am passionate about nature so took a field-guides course and became a field guide at Ivory Tree Lodge in the Pilanesberg for just over a year. 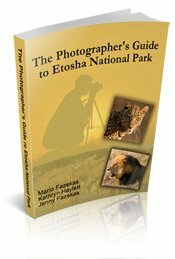 The Photographer’s Guide to the Pilanesberg eBook contains the lessons I learnt over that time that I am sharing with others. 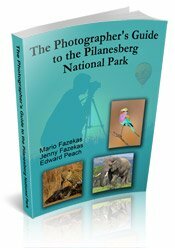 The eBook, in combination with the right photo equipment and attitude, should ensure that most people get to find and then capture good photographs when they visit the Pilanesberg. 8. 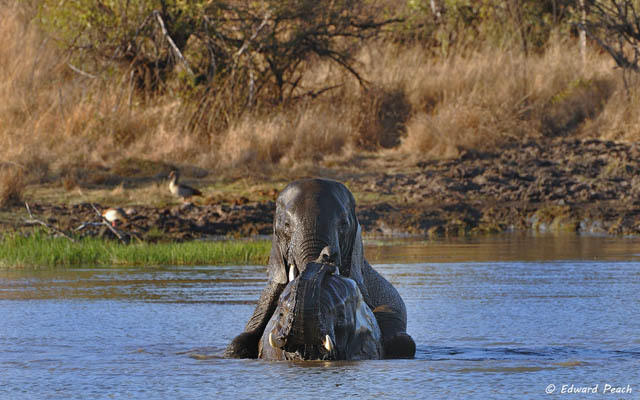 There are two primary groups of visitors to the game parks – those who do only self-drive safaris and those who do only guided game drives. 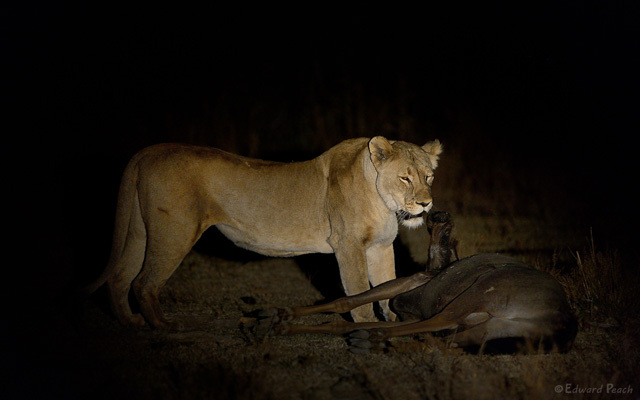 Both can be successful but what would your advice be to a photographer going on a guided game drive where he is not in control of the vehicle? Make the lodge aware when booking that you are a photographer and hopefully they can put you with a guide that has a photographic understanding and then don’t be afraid to ask the guide to position you better when you get a sighting, but don’t go overboard with your requests – keep them reasonable! 9. 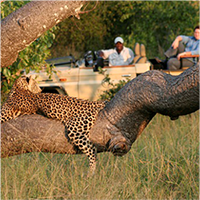 Before you go out on safari each day have you planned your route and what animal/s you want to photograph? Because we go out every day, we generally know where the animals are, so we will plan to go past those areas based on what my guests want to see. If I’m out on my own I would mostly just drive and enjoy, no matter where you are there will always be something out there. Hopefully you are at the right place at the right time. 10. 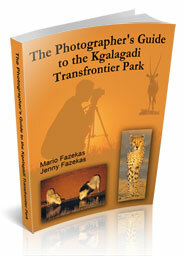 Does photography in the Pilanesberg provide any unique challenges for photographers? 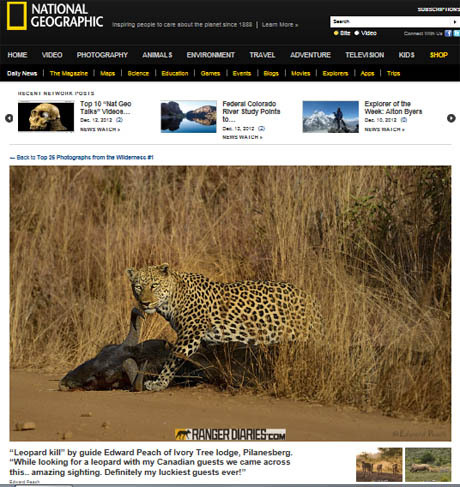 I often joke about there always being something in the way in the Pilanesberg. Often the grass is long or there are other cars preventing you getting where you want to be or there is a lone branch hanging down in front of your subject! The biggest problem, however, is that the roads are so far apart from each other. In the Pilanesberg, like most national parks, you are not allowed to drive off-road so if the subject walks into the bush that is usually the end of your photo opportunity as you cannot follow it or drive up the next road to catch up with it. So my advice is for you to watch the animal and try and anticipate where it is heading and then to head for where it will be at the best place (in terms of lighting and where there is minimal grass or bushes) in order to take the best photo. By anticipating you should also be able to get in place at the prime spot before everyone else does! But just remember that you are in the animal’s home so please respect them and their space – don’t block their path or stress them in any other way just to get a photograph. 11. 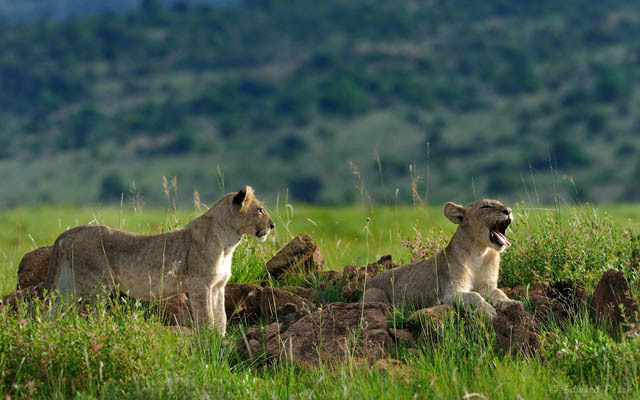 You have some amazing photographs that you have captured while taking guests on game drives. Most field guides that we chat to, who are also photographers, complain that they miss many shots as they have to park in the best position for their guests and they end up not being able to see the subject. You obviously also park in the best spot for your guests but you still capture super shots – how do you manage to get this right? Lou Coetzer taught me to shoot first and ask questions/adjust settings later. I think it’s the same approach here. My cameras are mostly ready for that shot, and there’s always time after to talk to guests and adjust afterwards. Because I generally stay away from the crowded sightings and rather watch animal behavior of the subjects we are with (sitting and watching herbivores has led to many predator sightings! ), I try to position the car for everyone to see and enjoy. Having said that, I have missed some great photo opportunities because of parking behind bushes in order that my guests may have the best view, but that’s what any field guide worth his salt does. 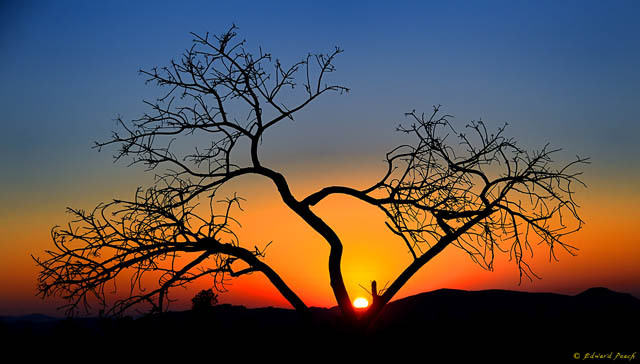 12 What advice would you give to a photographer visiting the Pilanesberg for the first time, whether on a self-drive or guided safari - how can they ensure they have an enjoyable experience? The best approach for anyone to enjoy their safari is to appreciate what they do see and not be disappointed with what they don’t see. 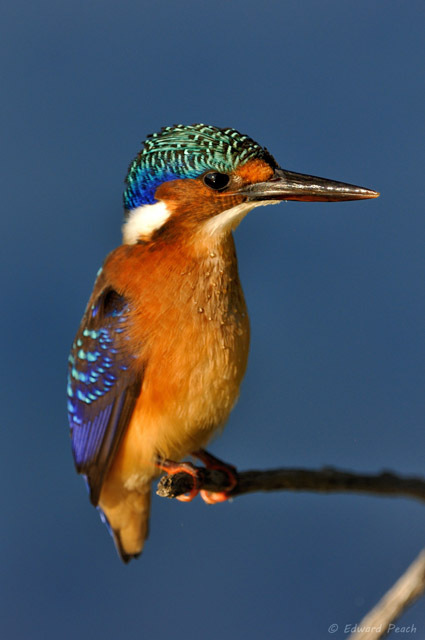 Pilanesberg doesn’t only have the big-5 but also some amazing birds, insects and spectacular landscape scenery. 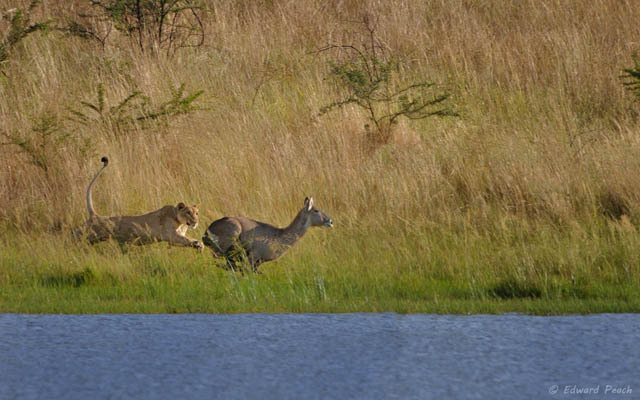 Once you stop the vehicle, listen and enjoy - you might hear an impala alarm call that will lead you to the predator sighting everyone wants to see. 13. 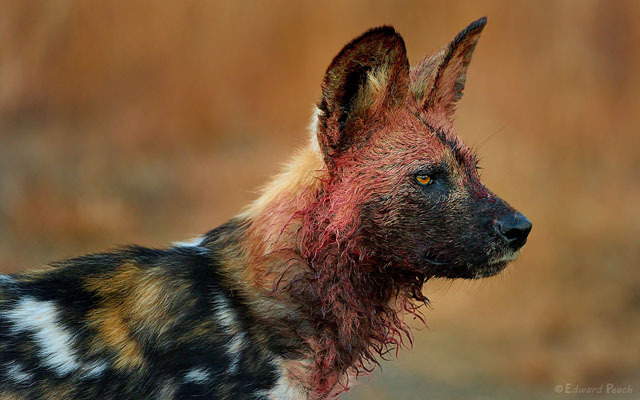 What are you photographic dreams – what comes after the Pilanesberg? I love nature and would like to travel around Africa seeing all it has to offer and then to go overseas in order to see places like the Pantanal wetlands and Iguazu falls in Brazil, the New Zealand landscape, the birds of paradise in New Guinea and try some shots of the Aurora (Arctic and Antarctic). 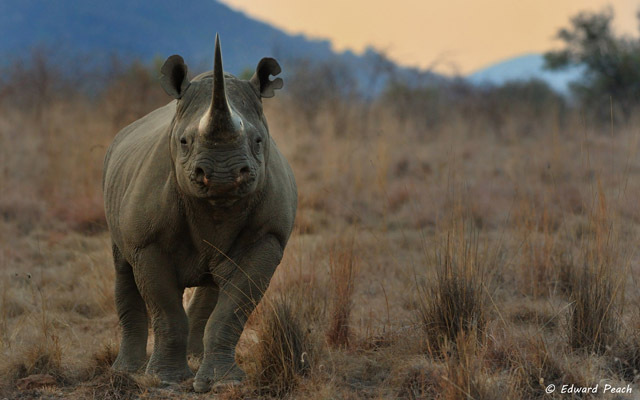 Edward has been photographing nature since 2002 and during that time he spent nearly eighteen months in the Pilanesberg National Park as a game ranger for Ivory Tree Lodge, which allowed him to gain an intimate knowledge of the animals and capture some stunning wildlife images. 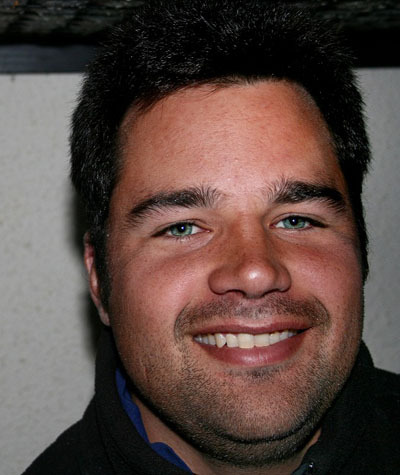 He is also the co-author of The Photographer's Guide to the Pilanesberg National Park eBook and you can see more of Edward’s images on his website or on his 500px page.